(São Paulo) – The International Trade Centre (ITC) today (1 September) called on global leaders, governments, and the private sector to work to ensure that one million more women are able to enter markets as entrepreneurs and business owners by 2020. 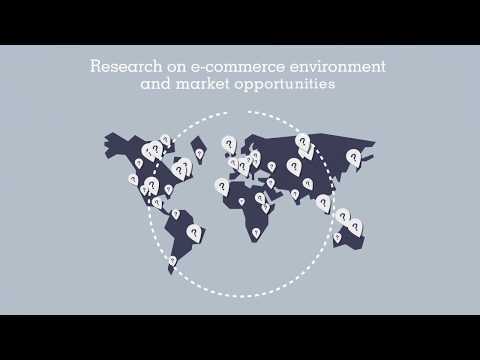 Joined by leading business leaders, policymakers, and academics, ITC Executive Director Arancha González launched the appeal at the Trailblazers Summit of the Women Vendors Exhibition and Forum taking place from 1-3 September in São Paulo, Brazil, organized by ITC in partnership with Apex-Brasil. The Trailblazers’ Call to Action was developed following extensive consultations with governments, the private sector and civil society organizations across the world. It is the result of a shared understanding that including more women-owned businesses in international trade can help global growth, development and poverty reduction. Ensuring access to domestic, regional and international markets by women owned businesses (WOBs) would have impacts at the local and global level through job creation and narrowing the gender equality gap. The Trailblazers Summit Call to Action focuses on eight pillars: Data collection, analysis and dissemination; trade policy; public procurement; corporate procurement; certification; supply-side constraints; financial services; and ownership rights. On each pillar, governments, businesses, and other organizations are challenged to make measurable pledges to better understand and overcome the obstacles facing women entrepreneurs, employees and women-owned businesses. Several organizations and private companies announced commitments during the Trailblazer Summit on what they will be doing to help achieve the goal of connecting one million women to markets by 2020. Commitments came from Kenya Private Sector Alliance, InterAmerican Development Bank (IDB), Vital Voices, Global Women Entrepreneur Leaders Scorecard (sponsored by Dell), SDI International, Women Impacting Public Policy (WIPP) International, the Madhya Pradesh Association of Women Entrepreneurs in India, Pacific Gas & Electric, the Nigerian Export Promotion Council, BPW Turkey, the UN Global Compact, the World Trade Organization. A full list of commitments made by each organization will be published on ITC’s website and will updated continuously as more commitments are made. On Thursday 3 September the winner of the WVEF Tech Challenge will be announced. The Tech Challenge, which is organized in partnership with Google and CI&T, has asked web and app developers to develop an online database and app to make it easier for women-owned businesses from around the world to connect to prospective buyers, to help connect one million women to markets by 2020. About the International Trade Centre ITC is the joint agency of the World Trade Organization and the United Nations. ITC assists small and medium-sized enterprises in developing and transition economies to become more competitive in global markets, thereby contributing to sustainable economic development within the frameworks of the Aid-for-Trade agenda and the Millennium Development Goals.